Free Skiing at Whiteface Mt. in the Winter. A Fly Fisherman's & Hikers Dream in the Spring, Summer & Fall. 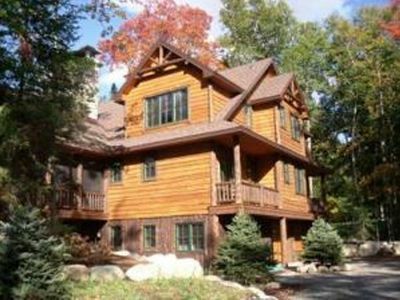 This charming log cabin is located in the High Peaks of the Adirondack Park on the West Branch of the Au Sable River in the Town of Jay. Sugar Mt. 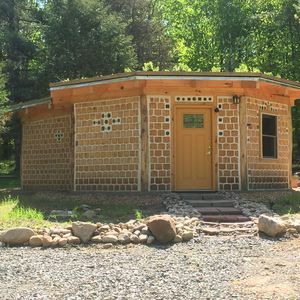 Cabin is secluded and surrounded by woods on a three-acre lot. Sleep well at night listening to the rapids of the river and the crackling of the woodstove. 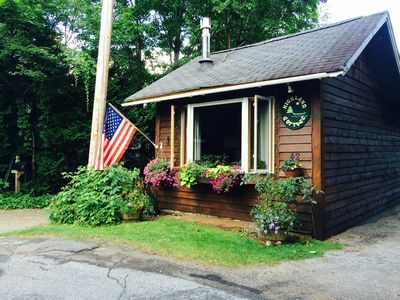 This rustic cabin is only 20 minutes from Whiteface Mountain and 25 minutes to Lake Placid. 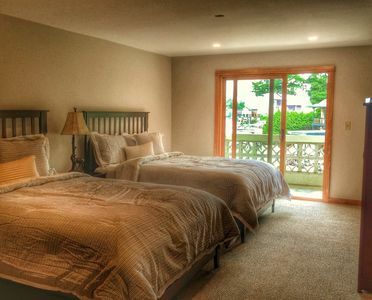 The cabin has a bedroom with a queen-size bed. 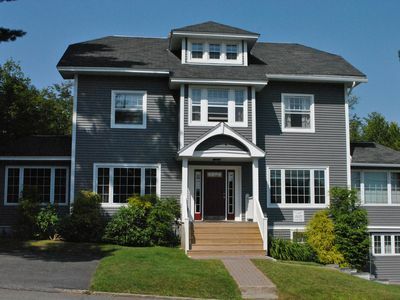 There is also a large loft with a double bed as well as two single beds. It sleeps six comfortably. There are two full bathrooms, one with a two-person Jacuzzi. 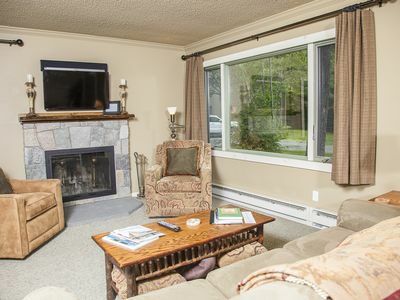 The living room features a wood-burning stove with plenty of dry firewood stacked outside. The kitchen has all the necessary appliances and utensils including a dishwasher and coffeemaker. Pets are welcome. 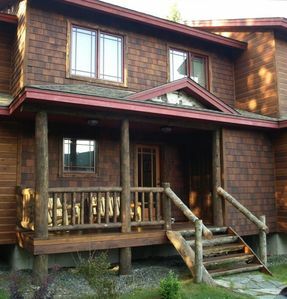 A covered porch runs along the front of the cabin. 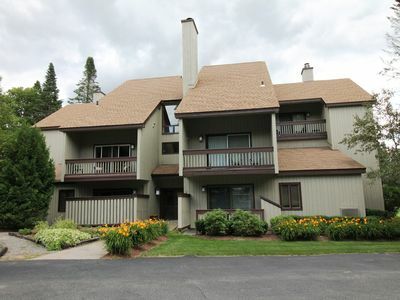 A picnic table and grill are located in the spacious secluded yard. 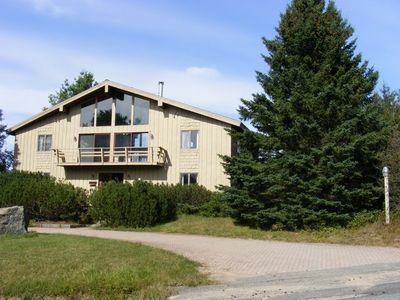 There are woods in the back, which overlook the famous Au Sable River. 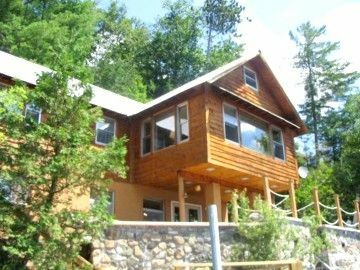 Enjoy private river access to numerous paths and trails with Adirondack chairs and benches located to offer spectacular views of the river and Wilmington Mountain Range. 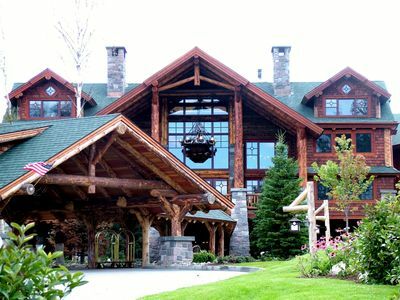 Sugar Mt Cabin is a short drive to the Olympic Village of Lake Placid. 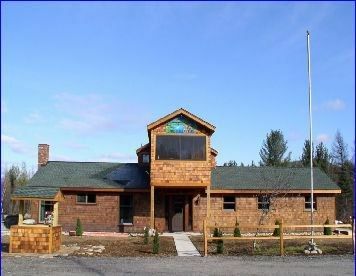 Golfing, hiking trails and other recreation can be found all around the area. 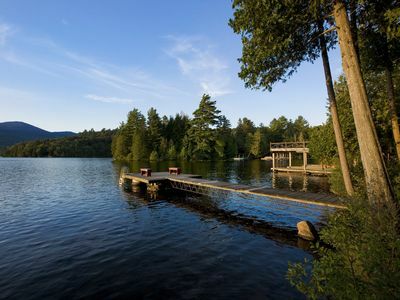 If it should rain one day we suggest you visit cosmopolitan Montreal, which is two hours from Sugar Mt. 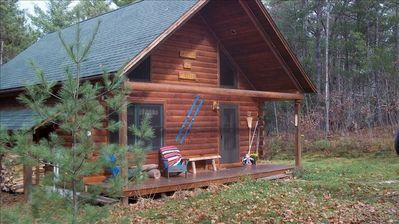 You will find plenty of information and maps of the area when you arrive at the cabin. 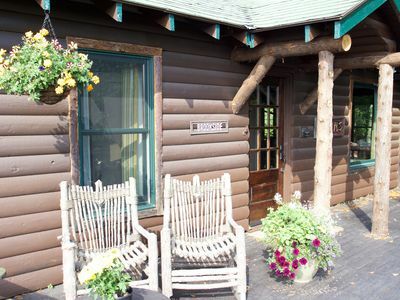 If Sugar Mt Cabin is booked, its sister cabin, Broken Arrow Lodge, may be available. 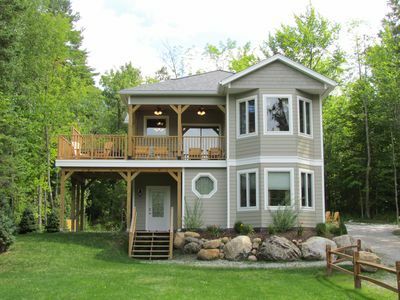 These cabins are identical in every way and each is located on their own three acre wooded lot. Broken Arrow is a two minute walk to the river over a small dirt road. If both cabins are booked, it will be indicated on the calendar. 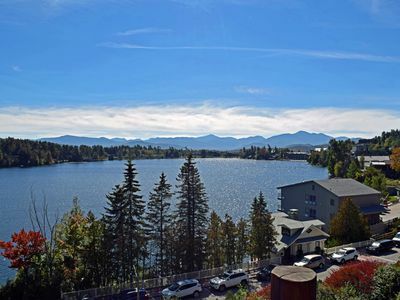 SKI-N-STAY PACKAGES FOR WHITEFACE MT: Weekend Special - stay any two winter nights for $350 or three nites for $500 and receive two FREE lift tickets. 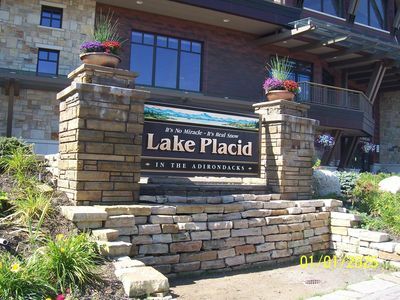 Weekday Special - stay any three winter weekday nites (Mon, Tue, Wed or Thur) for $350 and receive two FREE lift tickets. Parlay this with Whiteface's Half-Price Wednesday and ski both days for next to nothing. Excluding Holidays. You must ask for this special at the time of booking to receive it. 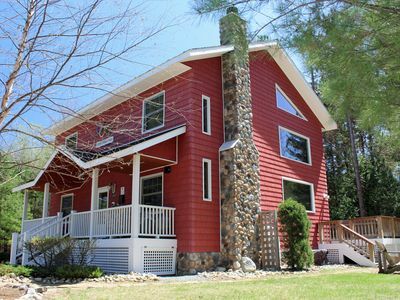 Book our lovely 6 bedroom home for your families next lake house getaway! Nature at it's Best!! Cozy Cabin with Old World Charm!! !